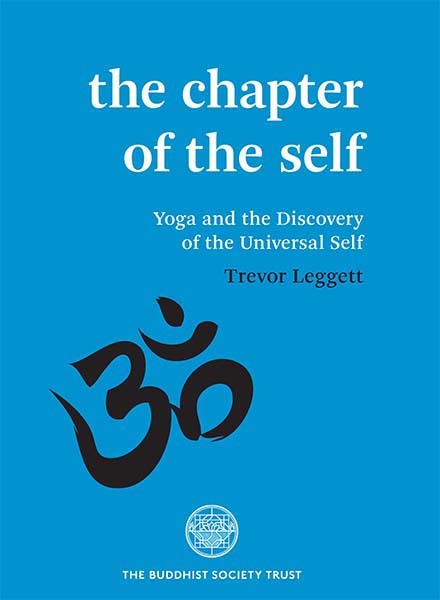 This book presents an ancient Sanskrit text dealing with self-realization, God-realization and yoga, aiming at a radical and permanent change of the individual consciousness, which as it stands is limited by a sort of illusion. It is the kind of illusion experienced by a man dreaming of a terrifying lion whose roars are in fact his own snoring, or by people who faint at ‘Dracula’, or grip their seats in panic at a Cinerama. The texts of realization may not dispel illusion if the mind that receives them is clouded and only partially attentive; the methods of making it clear and effortlessly one-pointed are called, collectively, yoga. Realization is its own goal, but yoga is a means. As a means, yoga can be used fractionally to acquire some imagined advantages in life as it now is, But these are temporary, and do not confront the ultimate problem. They correspond to improving the circumstances of a dream. Isolated yogic methods can be used to give some calmness, or improve health, or produce vigour. One who is prepared to practise hard can make the mind and memory brilliant. But if these seeming advantages are in the service of a fundamental illusion, there is no lasting peace; and in a disturbed mind, the temporary gains arouse waves of excitement which in the end destroy the yoga practice itself. Texts like this one have often been translated, and studied, by Western (and some Eastern) scholars who are interested in the philosophy in them; the references to yoga practice are brushed aside as superstition or self-hypnosis. The world-view of some of the ancient texts has sometimes been admired, though only as a remarkable anticipation of some modern views, and in any case merely as a system of ideas. Self-realization is thought of as an intellectual conviction, somehow held as an ‘insight’ in the teeth of actual experience. Thus many presentations of the ancient teachings concentrate on only one part: philosophy alone, or yoga practice alone. Pure scholars ignore the yoga practices and religious devotions which appear in the texts; to them yoga is in the same category as Chinese acupuncture until a few years ago – something was known about it, but it never occurred to anyone that it might be worth investigating. On the other hand, those interested in yogic exercises give no attention to the texts which say clearly that exercises alone will merely reinforce the illusion which is the cause of all man’s frustrations. Philosophy alone is sterile; yoga alone is a tightening tangle. The basic texts were composed long before the Christian era, but all the threads were drawn together by the great teacher Shankara, in about A.D. 700. His writings have been elaborately studied, but mainly for the brilliant synthesis of the texts on self-realization; his writings on yoga practice have mostly been ignored. There has been a view that no intelligent man could believe in it, so Shankara could not have believed it either, but was merely making concessions to the orthodoxies of his time. A word like samadhi, which to him is a trance where there is only one pre-determined thought and complete absence of sense- perception, has been translated merely as ‘intentness’ or ‘without wayward thoughts’, and his whole position presented as merely intellectual. But Shankara saw himself not as propounding a theoretical world-view, but as teaching a change of consciousness. His aim is to go beyond individuality, through realization of the ancient truths by means of yogic meditation. Again and again in his Gita commentary he says that meditation on truth is the direct means to knowledge. Just over twenty years ago, a commentary by him on the text-book of yoga practice, the Yoga Sutras of Patanjali, was discovered, which to the surprise of some scholars has passed the tests of authenticity. The purpose of the present book is to present both sides of Shankar a’s teaching. Rather than re-translate parts of his known works, I have set myself to put before those interested one short authentic work, the commentary on the Chapter of the Self in the Apastamba Law-book, which as far as I know has not appeared in English. In this commentary, he repeatedly refers to the role of yoga practice, but does not discuss in this place the methods. So I have added Part Two, on the practice of his yoga, which I studied for eighteen years with Dr Hari Prasad Shastri, a great scholar and a fully realized yogi. Dr Shastri often used traditional stories as a method of instruction, and told his pupils also to study the working of yogic principles in history. I have included a number of traditional stories here. Also included is a good deal of the newly discovered Shankara commentary on the Yoga Sutras, which I believe will be new in English. Dr Shastri himself lectured on these sutras for two years; however he stressed, as a most faithful follower of Shankara, that yoga practice must be based on the revelations of truth, or it will not give freedom. (2) this short section of the Law book was surprisingly picked out by S’ankara to comment on; it is not a traditional subject for that. It must therefore represent his views exactly, or he would not have selected it. For instance, the stress on the necessity that the liberating Knowledge must be firm and unwavering is identical to the jnana-nishtha doctrine stressed in his Gita commentary. (3) There are links with his other commentaries which point to the authenticity of the commentary (here translated for the first time). The text and commentary deal with realization of the Supreme Self by means of Yoga practice. The first part of the present book gives the translation of the Chapter and the Shankara commentary.